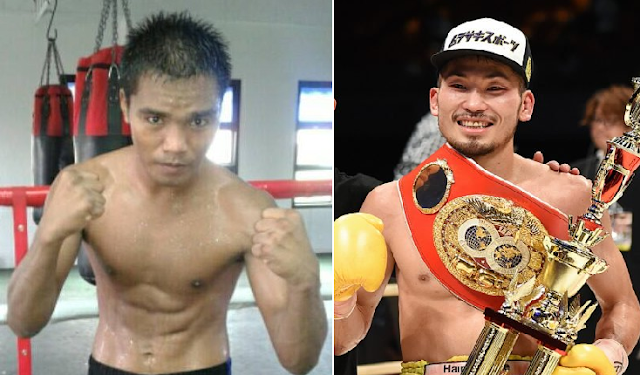 Filipino 28 years old Ernesto Saulong is set to face the IBF world super bantamweight champion Ryosuke Iwasa on March 1, 2018 in Kokugikan, Japan. Saulong from Mindoro Occidental, Philippines has a record of 21 wins including 8 by KO's and has only 2 defeats. Saulong is a former WBC International Bantamweight champion and won his last 3 fights. Meanwhile, Ryosuke Iwasa is also a 28 years old boxer from Kashiwa, Chiba, Japan. A hardhitting fighter with a record of 24 wins including 16 victories by way of KO and has only 2 defeats. Iwasa defeated Yukinori Oguni via 6th round TKO to win his IBF title. Ernesto Saulong vs Ernesto Saulong is a co-main event in Luis Nery vs Shinsuke Yamanaka WBC World Bantamweight Title fight.